With Tornado’s gen module, you can turn Python generators into full-featured coroutines, but coordination among these coroutines is difficult without mutexes, semaphores, and queues. Toro provides to Tornado coroutines a set of locking primitives and queues analogous to those that Gevent provides to Greenlets, or that the standard library provides to threads. 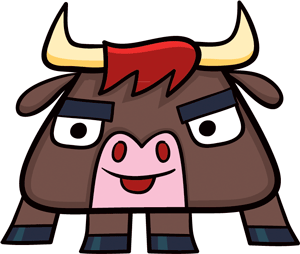 Toro is completed and deprecated; its features have been merged into Tornado. Development of locks and queues for Tornado coroutines continues in Tornado itself. ...     print "I'll wait right here"
...     print "I'm done waiting"
...     print "About to notify"
If there’s no notification before the deadline, the Toro-specific Timeout exception is raised. Queue.get() waits until there is an available item in the queue, and may notify a coroutine waiting to put an item. Queue.put() waits until the queue has a free slot, and may notify a coroutine waiting to get an item. Queue.get() and Queue.put() accept deadlines and raise Timeout if the deadline passes. Additionally, JoinableQueue supports the wait-method JoinableQueue.join() and the notify-method JoinableQueue.task_done().